The Lasantha Wickrematunge murder investigation now handled by the Criminal Investigations Department ( CID) moved a step further when they honed in on the initial investigators. The initial investigations into Lasantha Wickrematunge’s murder were conducted by the Mt Lavinia Police and Mirihana Police. Lasantha Wickrematunge was murdered on the 8th of January 2009 along Attidiya Road, near Malagala School,Ratmalana around 10.00 am by Army Intelligence personnel riding Black Coloured Motor Bicycles. The CID informed the Mt Lavinia Magistrate on an earlier hearing that they have sufficient evidence that the murderers were from the Army Intelligence. The murdered Senior Journalist had been followed from his home along the way to his office by the perpetrators giving the victim considerable time to make several cell phone calls. 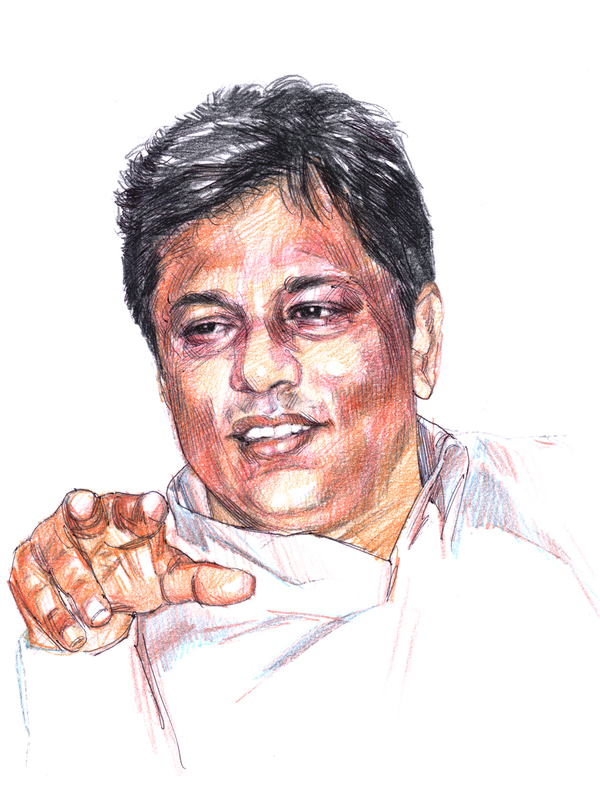 Amongst the calls the late Lasantha Wickrematunge made were persons such as Malik Samarawickrama, Killy Maharajah and even Temple Trees to reach former President Mahinda Rajapaksa. The former President did not come to the phone stating that he was in the shrine room. He was not. To some the late Journalist stated that he had taken down the Motor Cycle numbers in his note book. Evidence recorded shows that Lasantha Wickrematunge carried his note book at all times. confiscating the vital Note Book. The Note Book ended up with the former IGP Wickramaratne. SP Adikarai and SI Sugathapala are in remand for tampering with evidence. They are to make statements before a Magistrate. Former IGP Wickramaratne has filed papers for anticipatory bail. Sleuths investigating are questioning those officers as to what/who provoked them to cover up and was there any evidence or prior knowledge of who was behind the murder to go to such extent. If only the two leaders agree and decide to put the Law in motion and secretly not interfere with the investigation with the infamous and psudo nationalistc Ranaviru slogan as has been done all this while, the case is crystal clear that it is a well planned murder by those wielding political power at the time. People are aware the two leaders are the two main stumbling blocks preventing the Law to take it’s course. If they leave the due process of the Laws to be carried out by those entrusted to, they would not have descended to such low levels today and the country would have reaped the benefits of the victory the people obtained for them at the two Elections. ” Every prospect pleases except the (politician) is vile”. That is the bitter lesson our country has learned during the past 70 Years. I don’t think even if they are immersed in Kelani Ganga they could be cleansed. If some one can take them to River Jordan where the Lepers were cleaned we may stand a chance. 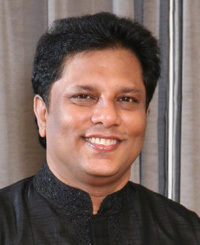 The cold blooded murder of Lasantha is a WARNING issued by the Govigama Organised Crime Syndicate to anyone or anybody who is daring to take on any Govi member, especially the ruling families and their immediate relatives for anything they might have committed, no matter how serious those crimes are, whether it be a national level or an international level crime. It is seen and taken seriously as an OFFENSIVE action taken against the entirety of the Govi Ruling Elite cabal run Mafia. So, the adversary will be given warnings to back off or if he or she still pursues the case against a Govi Mafia member, they resort to the ultimate solution to the problem…. Assassination. Since, the state and the entirety of its function is totally rests upon the Govi Mafia system, the victims of the Govi violence have no way of seeking justice from any arm of the state or the judiciary which are run directly under its control. The delays and the lethargy of the successive governments that come after each (fake) elections, which put a Govi as the head of the state, tells this in explicit manner. Sirisena/Ranil are diplomatically and politely saying to the Dumb mass population who live in the land, this simple message. They have even openly said that they will never surrender the war heroes to any court of law even if it be an International one. The subliminal code word they use to protect their criminal brethren from any court case or any legal issue that they maybe subjected to is “War Heroes”. Under this tag, the Elites are considered as War Heroes as they are the ones who always at the forefront creating Wars, Conflicts and Destructions and daylight robberies in stealing the wealth of the nation. Just take a look at the Rajapaksa crimes and you can connect the dots that reveals the big picture of everything they do. Henry Ford referring to mass production of cars said “You can have any color provided it is black”. In the Lasantha ‘mystery’ they are looking for ‘evidence’ to exonerate one or more VVIP. Tampering with Evidence and Hampering with Justice is way of life in Srilanka. So when will the people responsible be hung???? In our submission, as total outsiders. It now may well be too late. To arrest the ones who might be – or seen as – guilty to have arranged this vile murder. The Dragons are out, more popular than ever. And any arrest (like Gen. Fonska at the time) would have done it 2 or so years ago. Now the danger is to risk a Civil War as the island seems 50/50 split due to being disillusioned and disappointed with the present headless leadership.